FabLite assembly is fast and easy. Tube frames quickly snap together without tools. The pillowcase dye sub graphic pulls down over the frame and zips closed. Presto – you’re ready to show! 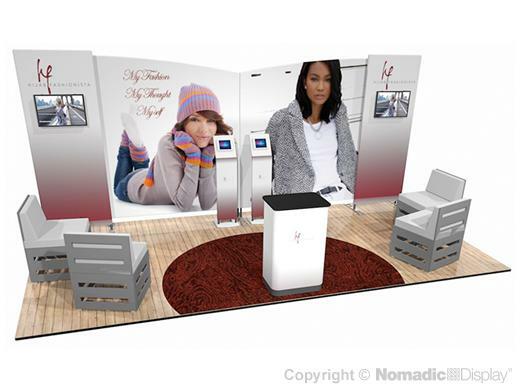 This 20’ FabLite display comes with the two Kiosks, Tablet Stands, Monitor Mounts and a premium counter conversion kit. FabLite tube frames are so sturdy we back them for a lifetime of use against manufacturing and materials defects.